B and K Power Equipment – B&K Power Equipment has been servicing our customers for over 40 years… stop in and see what a difference experience makes! Discover your local dealer difference…..
B&K Power Equipment has been servicing our customers for over 40 years… stop in and see what a difference experience makes! We offer new and used Skid Loaders and attachments, Tractors, Riding and walk-behind mowers, Snow Blowers, Lawn & Garden Equipment, Chainsaws and much more. B&K Power Equipment, Inc. represents the following high quality manufacturers: Gehl, Stihl, Hustler Turf, Toro, Bush Hog, World Lawn and many more. We also have a complete service department for small engines, mowers, snow blowers, chainsaws, skid steer to repair any problem. To assist our customers by being a resource for high quality equipment and reliable parts as well as providing a knowledgeable service staff. We embrace the innovations and advances in the equipment industry. These advances allow us to best support our customers. We offer new and used Skid Steer Loader and attachments Tractors, Riding and walk-behind mowers, Snow Blowers, Lawn & Garden Equipment, Chainsaws. 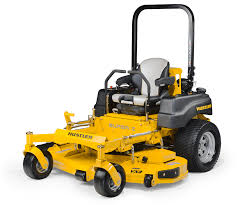 B&K Power Equipment, Inc. represents the following high quality manufacturers: Gehl, Stihl , Hustler Turf, Toro, Bush Hog, World Lawn and many more. We also have a complete service department for small engines, mowers, snow blowers, chainsaws, skid steer to repair any problem.